Aluminium patio doors create the most stunning entrance to your Surrey garden, patio or terrace. They are simply beautiful. The elegance and style of these entrances provide luxury for your home. Here at Jewel Bi-Folds, as sliding door specialists, we offer a variety of options for your new aluminium patio doors. We’ll ensure you can find the perfect match for your home and your budget. Our impressive patio doors will enhance your home in so many ways, from stunning views to high performance. 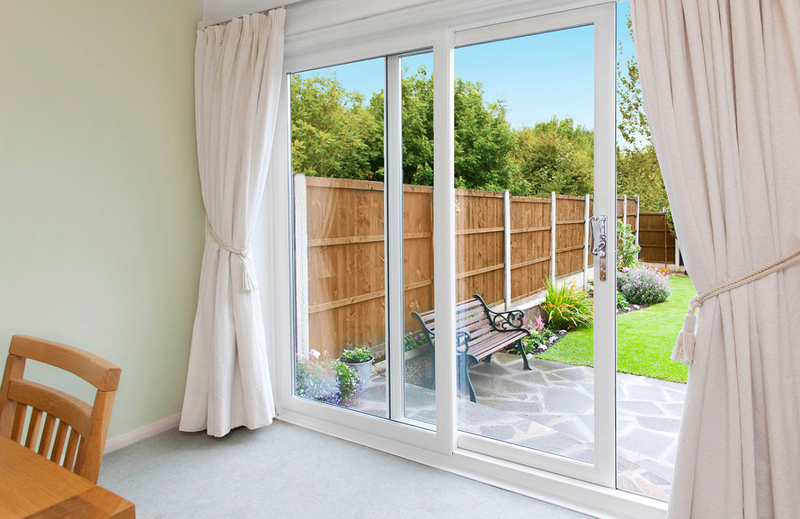 Our guide to aluminium patio doors in Surrey is here to help you discover the features and benefits for these stunning double glazed doors. Aluminium patio doors are the ideal choice for creating the most stunning views. They have super slim profiles because aluminium is such a strong material, it can carry more weight than uPVC. This ensures that you get a fantastic amount of glass, giving you panoramic views of the outdoors and flooding your home with natural light, which creates a bright and airy living space. Our aluminium patio doors in Surrey are tailored to your tastes too, allowing you to really reflect your personality and enhance the character of your home. The Smarts Visoglide aluminium patio door is so impressive. It offers outstanding all-round performance and the variety of customisation options ensures that it can even compete with timber when it comes to style. Our Visoglide patio doors are a premium option for your Surrey home improvements. They can be tailored with a vast selection of finishes and powder coatings including the much sought after wood effect that offers a natural timber appearance. 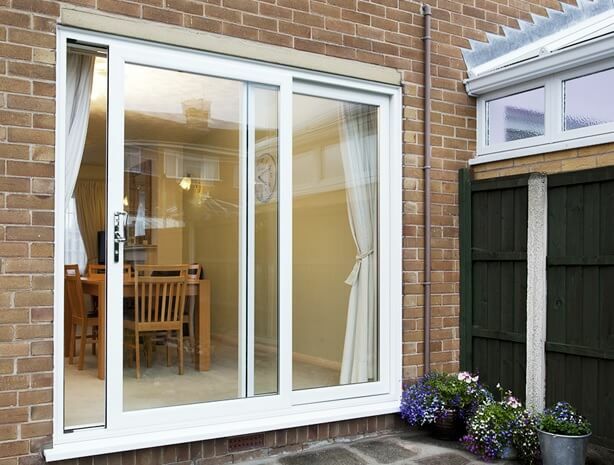 Your new aluminium patio doors will be configured to suit you and how you intend to use them. Design a practical entrance to the outdoors. You can discuss your requirements with our team, and we will help you find the perfect arrangement for your property. In addition to all of this, our aluminium patio doors from Smart are also high performance, featuring the very latest technology and innovation in double glazing. These amazing doors guarantee great thermal performance, keeping your home warm no matter how cold it is outside. They are soundproof too, enabling you to relax in peace away from intrusive street noises. As with any entrance to your Surrey home, our aluminium patio doors offer the most impressive levels of security. 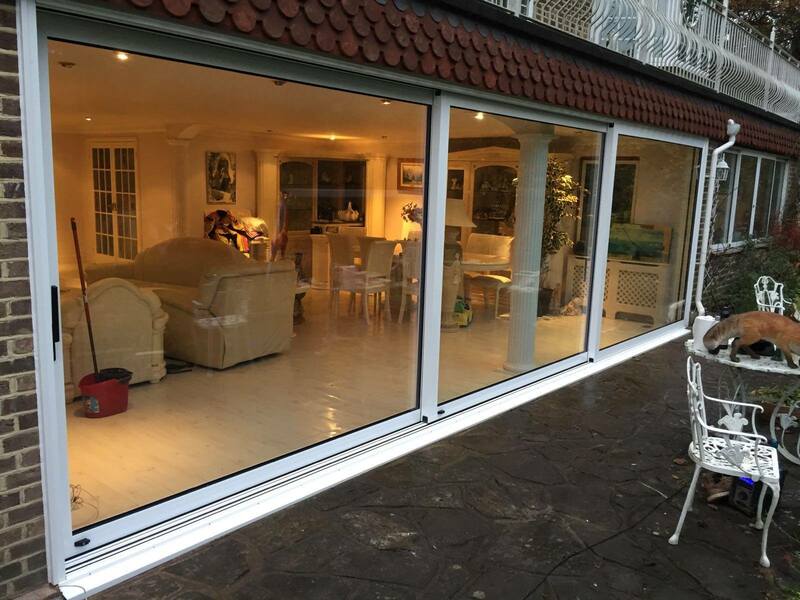 Fitted with state of the art locking mechanisms as standard, as well as being internally beaded, these sliding doors will protect your home and family. We also offer the superior range of Air Sliders aluminium patio doors in Surrey including the 500LS and 600LS. These aluminium patio doors will protect your Surrey home to the highest standards. When it comes to security, aluminium is the top choice for double glazing by the overall majority of homeowners, as it is so robust and virtually unbreakable. We then fit all our patio doors with the best and latest locking systems to ensure fantastic security performance. Our Air Sliders aluminium patio doors are incredible, so much so that they have achieved Secured by Design accreditation, ensuring that you have complete peace of mind. This police preferred specification tests double glazing against the most stringent standards and our doors have met the mark. Having our aluminium doors installed will protect your home against high altitude weather. They feature state of the art weatherproofing technology, stabilising your home from torrential rain, gale force winds, and bitter cold. These patio doors are incredibly thermally-efficient. This keeps your home warmer for longer so you use less heating, which cuts energy costs. These beautiful sliding doors are tailored to your Surrey home with the perfect colours to complement your property and reflect your tastes. Start your search for double glazing now at our online quoting engine where you can pick from the options available and create your dream aluminium patio doors. Adjust your selections until they suit your budget. If you prefer, get in touch with our friendly and knowledgeable team who will give you all the advice and guidance you need to pick the perfect aluminium patio doors for your Surrey property.